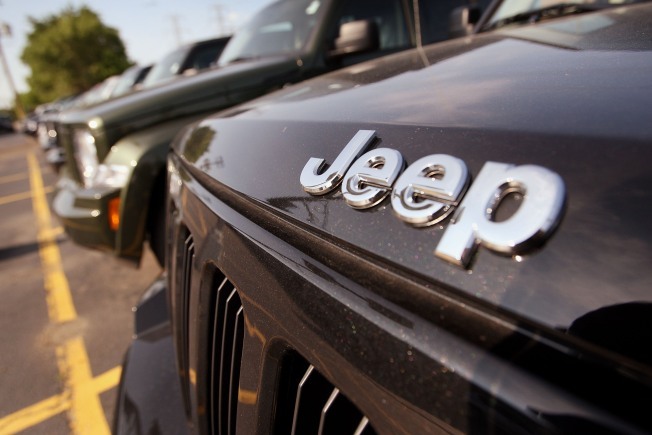 Federal safety regulators stepped up their investigation into the Jeep Liberty SUV after 50 people reported they were hurt when the air bags deployed even though the vehicle wasn't involved in a crash. The National Highway Traffic Safety Administration started investigating Liberty SUVs made by Chrysler Group LLC from the 2002 and 2003 model years in September. The investigation was upgraded to a full engineering analysis last week. Documents on the agency website say Chrysler and regulators have gotten 87 complaints of air bags going off by surprise. Nearly 387,000 vehicles are under investigation. Drivers reported burns, cuts and bruises. No deaths have occurred. Forty-two of the incidents involved the driver's front air bag, with the remaining 45 cases involving both the driver and front passenger air bags, the documents said. The incidents occurred as the vehicle was being started and while it was being driven. The agency said some of the Liberty owners reported that the air bag warning light illuminated just before the air bags were inflated. But others reported that they didn't see any warning light. NHTSA said in the documents that Chrysler inspected the air bag control computer chip and found that it fails due to a possible electrical voltage spike. The company says no incidents have happened in vehicles made after March 19, 2003. But regulators say Chrysler can't explain that, so they are starting an engineering analysis. Chrysler spokesman Vince Muniga said Monday that the company is fully cooperating with NHTSA and is trying to determine the cause of the problem. He said he has asked company engineers about what owners of the SUVs should do if they fear the air bag might inflate unexpectedly, but he has not received a reply.